Some books are purchased with the best intentions but remain unopened, collecting dust on the highest corner of the bookshelf. Others—like the ones listed below—offer valuable and practical insights, problem-solving tools, and unlimited inspiration for healthcare executives. In today’s post, we have collected nine books deserving of scribbled notes, highlighted passages, and bookmarked pages. A few are newly released books and others were published several years ago, but each one offers actionable solutions for hospital administrators and other healthcare leaders. Even if you have never used Lean methods, you’ve undoubtedly heard of the philosophies that were developed to help factories improve quality by reducing waste and errors. This 177-page book provides readers with the tools needed to employ Lean principles—such as creating flow and striving for perfection—to increase efficiency and cultivate better self-awareness. The author of this “#1 Best Seller” in Amazon’s Hospital Administration category makes a convincing argument for the use of checklists. Sharing stories about what these simple-yet-powerful tools can and cannot do, he shows how checklists can effect meaningful, remarkable change in various fields, from medicine to disaster recovery. This book is authored by well-known cardiologist, geneticist, and digital medicine researcher Eric Topol, MD, who gives his perspectives on the future of healthcare, the importance of embracing innovation and big data, and democratizing the delivery of medical care. Publishers Weekly called this book “thought-provoking and encouraging … with hundreds of questions designed to help readers in their quest for personal and professional growth.” It demonstrates why questions are vital and looks at what you should ask yourself as a leader, as well as the questions you should ask your team. Written by a retired Army lieutenant general, this book focuses on helping physicians become skilled in the art of leadership. The author introduces a process to assist doctors in improving their personal and professional health in addition to the well-being of their health organizations and our country. This paperback contains a collection of inspiring, previously published articles on employee recruitment and retention. In an organized, easy-to-digest format, it thoughtfully addresses the topics of talent acquisition and keeping staff engaged, satisfied, and invested in your organization. Published by Jones & Bartlett Learning, this book is geared toward facility decision makers who work with Human Resources and manage HR staff. The author has two decades of experience in HR management and addresses a variety of key issues, from pressure on the department to operate with fewer employees to new and updated laws that influence recruiting and interviewing practices. Using his professional experience with the Walt Disney Company and background in healthcare administration, the author cleverly draws a parallel between hospitals and the renowned mass media and entertainment conglomerate. Moreover, he illustrates how facilities can follow the “Disney approach” to earn staff and patients’ trust and loyalty. This valuable resource provides comprehensive guidance and up-to-date practices to help leaders keep their organizations on track. The latest edition includes new insight on strategic thinking, methods to conceptualize and document critical environmental issues, industry and management essentials, and case studies for applying the strategic management processes. As we begin 2019, you likely are reflecting on last year and refining your strategies—and incorporating new ones—for the future of your organization. 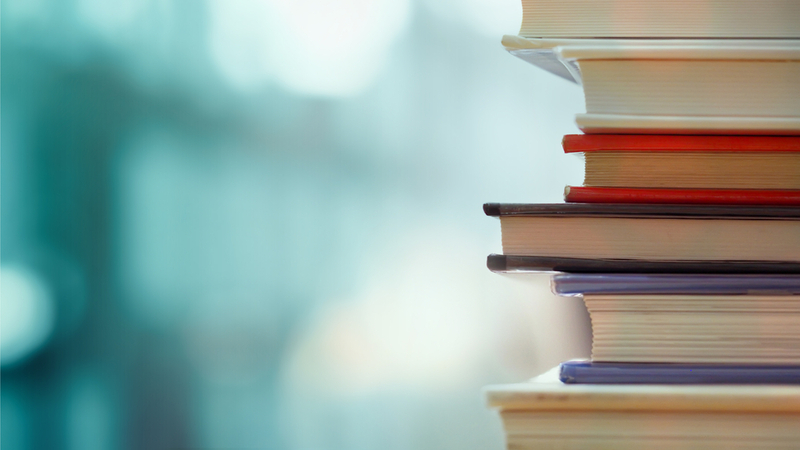 In addition to the resources we typically provide, this reading list and these recommendations offer a few new tools as you continue your valuable work of saving lives. Previous: Previous post: Could Oneida be Your Next Move?